Due to manufacturers the shape may vary of the product, however taste and quality stay the same. 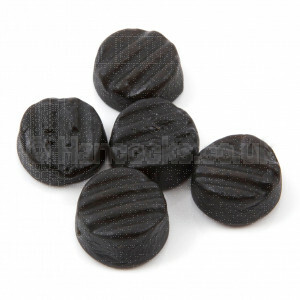 Hard liquorice and aniseed flavoured gummy sweets. Made With Natural Colours and Flavours.